Spinach is an amazing superfood. It is low in fat and high in protein, fiber, vitamins A, C, E and K, calcium, iron… let’s just say it is loaded with health benefits. The leafy vegetable is quickly becoming the most loved green. Spinach is very versatile as it can be eaten raw, sautéed, baked or blended into your favorite dish to add in those much-needed vitamins. Spinach gained popularity back in the day, all thanks to Popeye the Sailor Man. In the well-known cartoon, Popeye would squeeze open a can of spinach, consume the greens, and suddenly his biceps would grow to the size of bowling balls, giving him the super power to fight Brutus the bad guy! Parents everywhere used Popeye as the example on why you should eat spinach… it will give you all the nutrients and strength you could ever need! Guess Mom is always right! 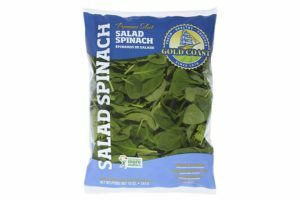 Here at Gold Coast Packing we love spinach so much that we grow it year- round. We offer it in a variety of pack-sizes, washed and ready to use (yes, all the hard work is done for you). So, the only thing you need to do is open the package and think of how you want to serve it up. Spinach is a salad bar staple, and yes, we love it as our dinner salad base, but so much can be done with those beautiful, dark green leaves. You can sneak it into your favorite smoothie, toss it into your favorite pasta, add it to your favorite soup, top a pizza with it, or you can do what we’re doing, and whip up a nice bowl of gnocchi.… the possibilities are endless. Gnocchi are little dumplings traditionally made from potatoes and flour. It’s typically served in soups or with a hearty sauce. 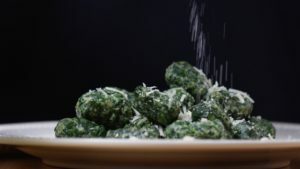 In our Spinach Gnocchi, we are ditching the potatoes and the sauce! 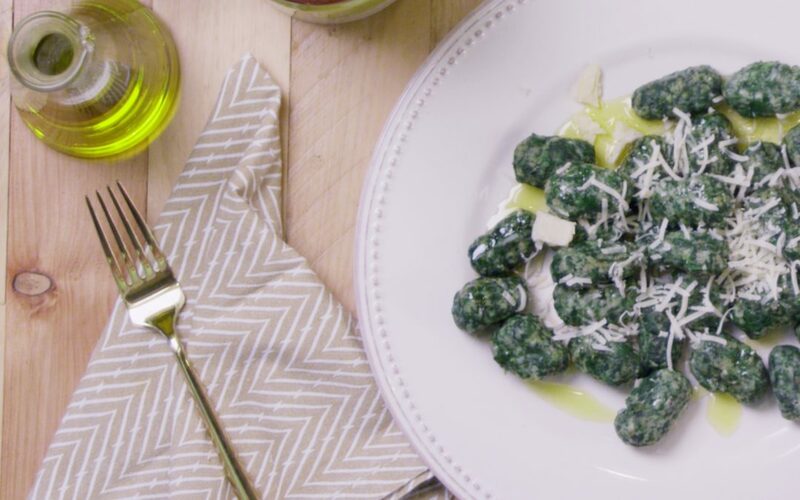 Don’t get us wrong, we love potatoes, but we are passing on the extra starch and whipping up a healthier version that’s loaded with all the superfood goodness Spinach has to offer. Our version is drizzled with olive oil and Parmesan cheese, but this can be customized with your favorite sauce. 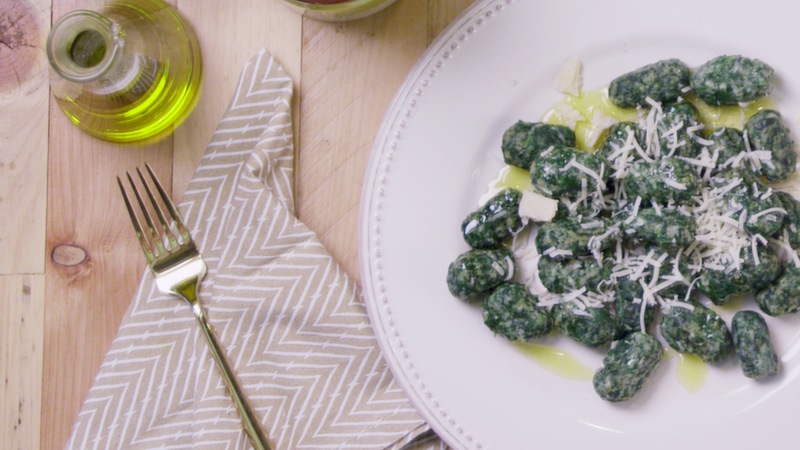 Thanks for joining us on this Spinach Gnocchi journey. Check out our easy how to video below and when you are ready to make this at home, we’ve also included a printable version.